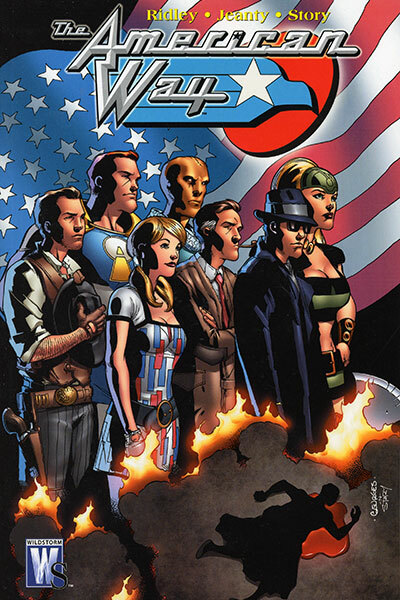 A Wildstorm Series (not in the now-defunct Wildstorm Universe, so you don't need to know any continuity) that was quite good, The American Way was about a world where there were super heroes but they were essentially just super-powered actors trying to keep people placated. 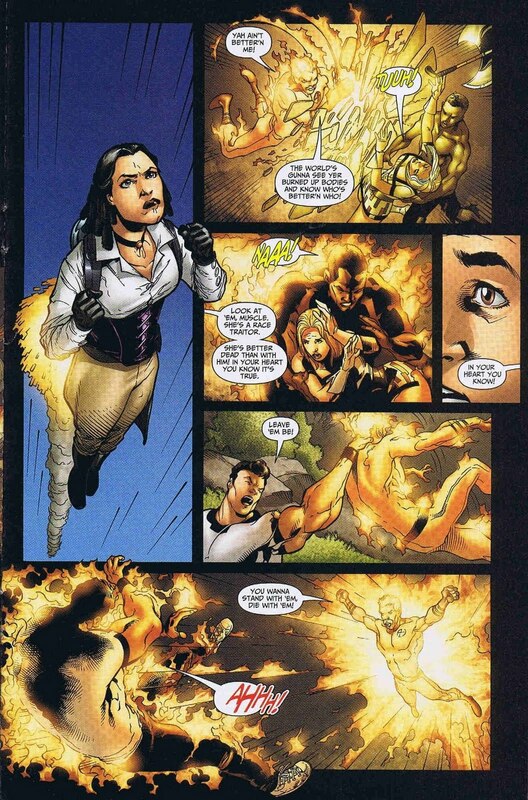 Once a friend of the President learns this secret and is brought in to help sell the heroes, things get interesting when he tries to spear-head things by introducing a black hero. This wouldn't be that big a deal, except its 1961. Yeah, things are going to get interesting. This was a good series, it discusses race in a mature, thoughtful way that isn't heavy-handed and doesn't pull-punches. There are racist characters that use racist words, there are extremist characters that do things that one might agree with goals of equality, but not their methods, and there is lots of fun action. The comic is written by John Ridley who is a screenwriter and novelist I was not familiar with until this comic and illustrated by George Jeanty, whose work I believe I've seen a bit of. They make a good team, as this comic shows. All eight issues are collected in this trade, and it makes a great read. It's a fun and interesting series, nice and self-contained, with good points, fun dialogue, and a plot that makes you think. I'd recommend it if you like to imagine what history would have been like with super-heroes, like the discussion of social issues in your comics, or just enjoy a good story with your super-action. It's a solid read. The American Way if you are interested.